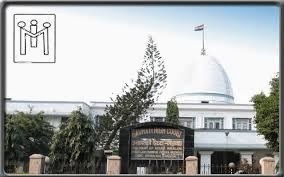 Aizawl, Nov 12 : The Gauhati High Court has allowed members of district council (MDCs) to contest assembly polls without first resigning from their posts. This has come as a welcome relief for veteran Congressmen like former Mizoram assembly speaker Hiphei, who is also the Mara Autonomous District Council chairman, and chief executive member (CEM) of Lai Autonomous District Council C Ngunlianchunga. State joint chief electoral officer H Lalengmawia said on Friday the election department has received a copy of the judgment that was pronounced on Wednesday. According to the Mizoram State Legislature Members (Removal of Disqualification) (Amendment) Act, 2006, an MDC has to resign before filing nominations. The high court declared the act ultra vires and against the provisions of the Constitution.